So you want to include your pet in your wedding? What a wonderful idea! Just be sure that their participation adds love and joy to your special day and doesn’t wind up destroying the ceremony. Later you may be able to laugh at your puppy’s goofy shenanigans. But I’m betting that in the stress and heat of the moment, having your dog, bird, cat or pony eat your flowers, play catch me if you can with the rings, knock over the lovely props and flower arrangements over, help themselves to your wedding cake or the spiked punch, or even bite your best man… Well, that may be hysterical in the movies but may not quite fit your vision of how you really want your big day to go. The best way to begin creating such a unique and special wedding plan is to first discover how to best include your pet in your wedding. First, you must be very clear what you really want to have happen. And you want to be very clear what you do not want to happen. When you have a vision of what you actually want your pet to do – what their role is — then it’s time to communicate with them. Just like including small children in the festivities, it’s important to treat your animals compassionately and considerately! Communicating with them is really critical. Why? Because like children, animals also need to understand the purpose of the event, their role in it, and what will be expected of them. They may have wisdom or suggestions to make that could make your special day even more extraordinary! Then again, they may have concerns, fears and questions. They need answers so they can safely and confidently partner up with you and embrace their new family in the blessing of the ceremony. What should a couple consider before deciding to include a pet in their wedding? 1st Be sure they actually want to participate! They need to understand what you want them to do, why it’s important to you, how they will be expected to behave, how long the event will be, where it will be located, what to do and even more importantly, what not to do. If they are in agreement and they want to be there, then by all means, include them. If they don’t? It’s best not to stress them or yourself out. You’ll have enough to concern yourself with. Risking your animal’s health and well being won’t help anyone. And they’ll be an important part of your married life anyway. Put a nice picture of them in your wedding scrapbook and move on. 2nd Make a plan! If the answer is yes, they want to participate then you need to take a realistic snapshot of how well behaved and socialized the animal actually is. If they aren’t good with people of all shapes, sizes in all situations? Or, if strange objects or noises scare them? You’ve got a lot of work to do. They’ll need a good bit of positive training to help them improve their confidence and behave appropriately. 3rd Get help! If your heart is still set on including your pet in your wedding day festivities, but are honestly not completely sure your animal wants to cooperate in the way you would like them to, then its best get help early on. 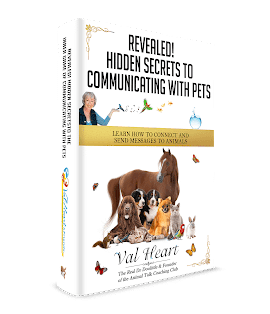 Work with an animal communicator first to clear the way so you can partner up together to answer all these questions, to accelerate the training, and to de-stress.